Members of UPAF raise their voices high during a recent performance. Talk about your passion for music. How and when did it start? I began my musical journey at Progressive Baptist Church at the age of nine under the leadership of my father, the late Bishop Jesse White. It became very evident to family and friends that I had a unique God-given ability to play the piano. I had no formal music lessons, however, I was able to pick out melodies I heard on the piano at an early age. I was told my desire to learn how to play came from watching my dad pastor the church, teach the choir, play the organ, and make church announcements on Sunday morning before he gave the message. He told me that I came up to him one day as a young child and told him, “I want to help you” but he brushed me off and said I wasn’t old enough to help him. Well, that desire to help my father grew over the years and drove my desire to learn how to play the piano and later the organ for the church. Religion has also played a large role in your life. How have you been able to marry your passion for music with your faith? Growing up in a Pastor’s home connects you to the church automatically, and it becomes a lifestyle. Everything else you like to do plays second fiddle to the church’s activities and events. I spent all of my childhood in the church, and that is what shaped my faith in God and my relationship with Jesus Christ. At the age of 14, in 1972, I was good enough to be the organist for the youth choir at Greater Progressive Baptist Church. By the age of 19, in 1977, I was selected to be the new minister of music of my father’s second church, True Love Baptist Church. It was then that I begin to seek knowledge, training, and guidance as a new developing leader. I wanted to be one of the best in the field. I was determined to be skilled and knowledgeable in the area of music. Having a stable spiritual life as a minister of music helps to give you a broader view of ministry as a musician. Today, many musicians in the church focus more on preparing the Sunday music and very little on developing their leadership, spiritual and artistic areas. In my earlier years I was hungry and thirsty to learn and grow, so I bugged people until they found time for me. That level of drive and determination is not as visible as it was when I was younger. Personally, I don’t believe you can grow effectively artistically without growing spiritually, because the music doesn’t sustain you and keep your focus alone. You must have something more rooted in your life to hold on to when you’re working in ministry. When did you realize that music could be a tool for changing lives? When I was minister of music at True Love Baptist Church, from 1978 to 1996, I saw where my culture enjoyed the arts in the church. It was clear that the arts in my community were seen entirely different from the way people view the arts in the other communities. We saw the arts as a lifeline; something that gave us hope and something that made us feel significant and made us feel good about life and the things around us. The singing and music was simply life changing and full of inspiration. 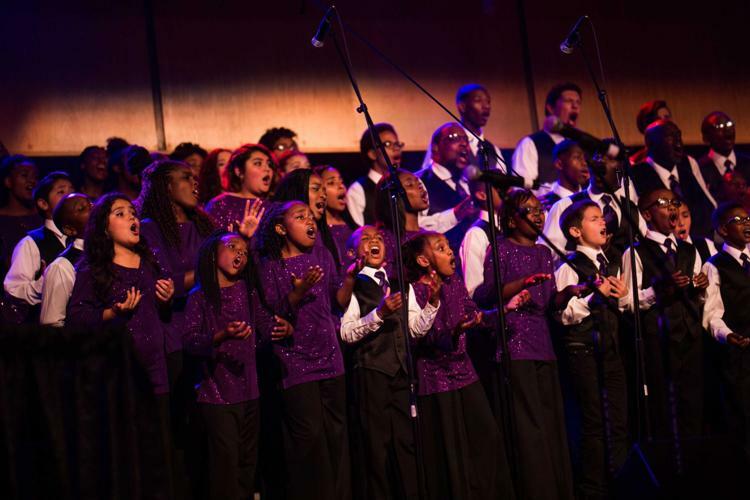 The music and arts I loved were limited to my church experience not just for me but also for every African American that grew up singing, playing an instrument, dancing or acting in church. After later learning the theory and fundamentals of music, I developed a personal technique that shaped my music brand and identity as a musician and choir director. I combined the knowledge, skill, discipline, excellence and the natural experience of the art form and created an explosive life-changing, and transformational experience for all of the children, youth and adults I touched. My method was viewed in my community and abroad as serious, disciplined, demanding the best from you, not settling for “that’s good enough,” firm, tough and high expectations. Nevertheless, I was and still am respected for being consistent down through the years for giving young people a life-changing experience of excellence in the arts. Talk about Unity Performing Arts Foundation. How did it come about? I saw a void that needed a solution. The lack of diversified artistic programming in the city automatically turned most minorities the other way because they didn’t want to participate in traditional arts programming. I wanted to fill that void with an art concept that was relevant to the young people of this generation. I also wanted to expose young people to a positive and empowering environment that equipped them for life. Bringing together the Soulful Art Forms with Character and Leadership Development was an idea that had never existed in our country. So the Vision of Unity was a new and fresh concept for our country. The concept began coming to me around 1993 and I spent four years drafting the vision before I presented it to anyone. After 1997, I selected a group of friends and colleagues to join me in the effort to launch a new artistic platform in the 21st century. Unity Performing Arts Foundation was born in the year 2000 and has served as a bridge for the arts connecting people from all over this community. Unity has broken down barriers and is still breaking down barriers and crushing stereotypes. What are some of the impacts you’ve witnessed UPAF make on the community and the youth you work with? The challenge of starting something new in Fort Wayne, especially a new arts non-profit organization, in itself is a significant accomplishment in this community. Our goal was to start an institution of development where the non-traditional arts, character, leadership and career preparation would be the center of our focus; we’ve achieved that. We wanted to create an artistic attraction that would appeal to minorities, therefore, increasing the number of minority families involved in artistic programming in the community; we’ve achieved that. We also wanted to create a unique non-traditional artistic platform that would also attract non-minority families and become a beacon of diversity. We’re achieving that. Our organization from the top, down (the staff, board, contractors, volunteers) is diverse. On our stage (the performers and musicians) and in our audience, we are attracting people from various backgrounds to our productions; I’m so glad to say we’ve achieved that as well. We have witnessed well over 300 students enter into higher education. We have exposed young students to high-profile people, events, and places. We have watched our students go to college and from the first year they are prepared to lead. They are ready for opportunities, and are achieving way beyond their peers. The impact is so visible and evident that anyone that has been watching Unity over the years can see the impact from a distance. However, if they ever take the time to come closer and witness firsthand the organization’s influence on youth and adults, they would also be encouraged to step in and be a part of something unique and meaningful to this community. Unity is a monument of pride for many young people. Where do you get inspiration and ideas to keep performances fresh and keep your performers engaged and excited about music? My commitment to excellence is fueled by the person who chose me for this mission (God). My inspiration is stimulated when I see the students grow and soar into their greatness and my ideas are generated by keeping my mind free of any particles of doubt, fear or negative chatter. I have found that when you reach out beyond the borders of Fort Wayne and meet new people, see new things, and welcome new experiences in your life, it can generate energy for your creativity. That’s the secret behind my great ideas and productions. As a musician, are there any songs or bands that hold a special place in your heart? I have learned over the years to love all styles and forms of music from classical to gospel. I have listened to many styles of music that has inspired and shaped my method of playing and teaching. I would like to thank my wife, Cindy and my four children, Markeyta, Kamia, Evan, and Chad for their support and encouragement down through the years. I would like to thank my eight siblings for their support and encouragement down through the years. I also thank God for my staff and the board of directors at Unity; they work hard to help keep the Unity ship sailing. I would sincerely like to thank the families who have participated in Unity for the last 18 years and the students who have continued to support and work with the organization after college, “Reaching Back To Give Back.” To the individuals, foundations, and businesses that have believed in our mission enough to invest your treasure into the core of our work, I genuinely thank you with a sincere heart of gratitude. Finally, I would like to encourage parents and professionals, to consider exposing your children to the transformational environment of Unity Performing Arts Foundation. It will be a life-changing experience. You will not regret connecting your children to this institution of development. God bless you all! 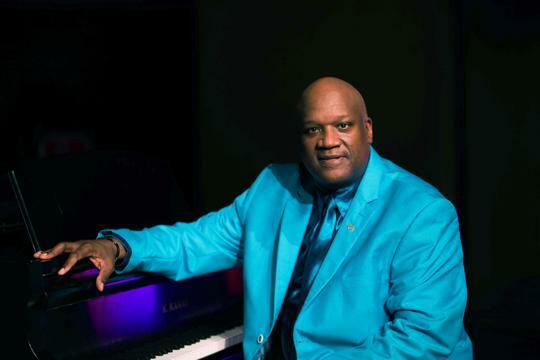 Marshall White, 60, serves as a founder and leader of the Unity Performing Arts Foundation which, brings music and joy to local youths. By Chelsea Boulrisse. To suggest a Career Path, email cboulrisse@kpcmedia.com or call (260) 426-2640 ext 3310.